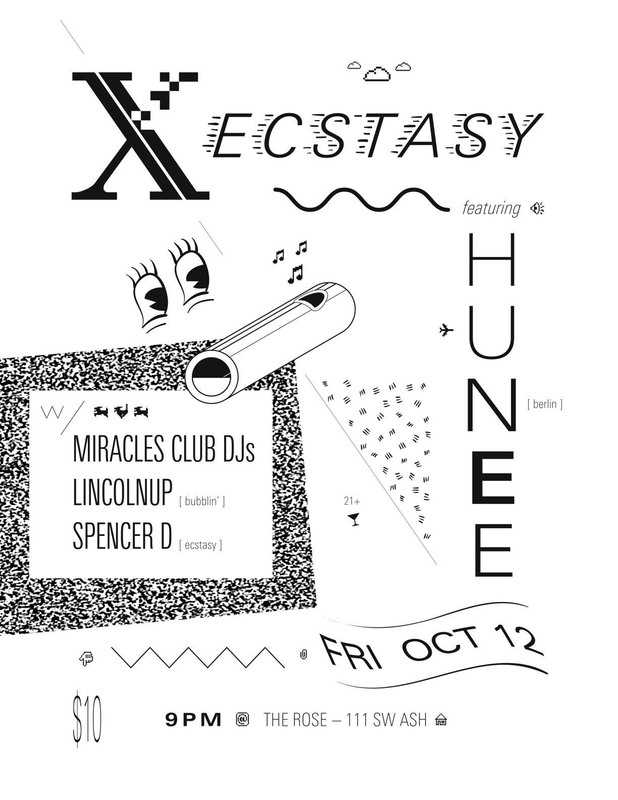 Hunee aka Hunch is a Berlin based DJ & producer. Over the last few years his sophisticated and whimsical take on roots Disco, House & Techno has developed a devout cult-like following across the globe. From his sets at Berlin’s legendary Panorama Bar to releases on esteemed labels such as Rush Hour, Future Times, Permanent Vacation, Osgut Ton, Internasjonal, and Feel Music, Hunee continues to raise the bar for contemporary dance music. This entry was posted on October 5, 2012 at 7:06 pm and is filed under Bubblin, Hunee, Lincolnup, Miracles Club, Showtime!, Spencer D.	You can follow any responses to this entry through the RSS 2.0 feed. You can leave a response, or trackback from your own site.